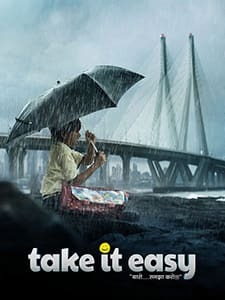 Directed by Sunil Prem Vyas, Take IT Easy is an Indian children's film. It is produced by Dharmesh Pandit and released on January 2, 2015. The film features Vikram Gokhale, Dipannita Sharma, Raj Zutshi, Anang Desai, Joy Sengupta, Sulbha Arya and Supriya Karnik. The film tells a story about two kids who are constantly under their parent's pressure to do well. And in that pressure they cheat, fight only to fulfill their parent's wishes.